My first experience with the sound of vintage tubes was at a very early age while using a radio as an amp for my guitar. THAT sound immersed itself in my brain ever since. 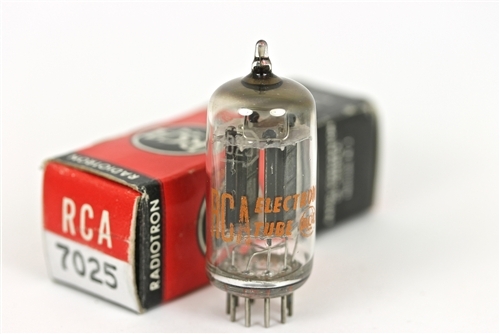 It was a sound that came back to my ears when, thirty years later, I used a vintage tube in an amp I was very familiar with. The difference was impossible to ignore. After that, I decided to use vintage tubes in any amp I used. This doesn’t work for everybody however as some people don’t hear a significant change, enough to justify buying vintage tubes, which in good condition cost a small fortune! So, what exactly is the sound we’re talking about? Well, that’s a very broad chapter. Let’s try to make it a little clearer. The major tube manufacturers were Phillips in Holland, Telefunken in Germany, Mullard in England and RCA in the US, with smaller but of equal quality brands such as Genalex and Brimar in England, Siemens in Germany, Tesla in Czechoslovakia, GE and Sylvania in the US, Amperex in Holland, Mazda in France. It appears that each country of manufacture would have its own interpretation of sound somehow. British tubes seem to have an incredibly warm midrange sound. 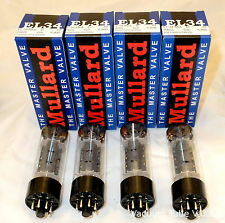 Vintage Marshalls came stock with Mullard tubes and that is the sound that made Marshall famous. 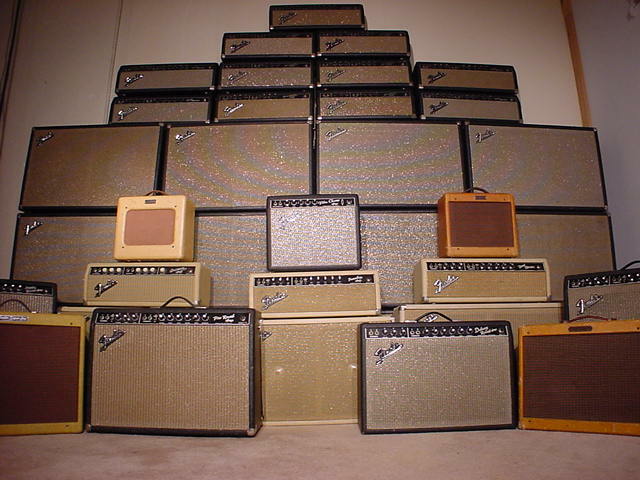 Accordingly in the States all Fender amps came stock with RCA tubes. Over the years, it became easier for me to identify tubes according to construction and code markings. 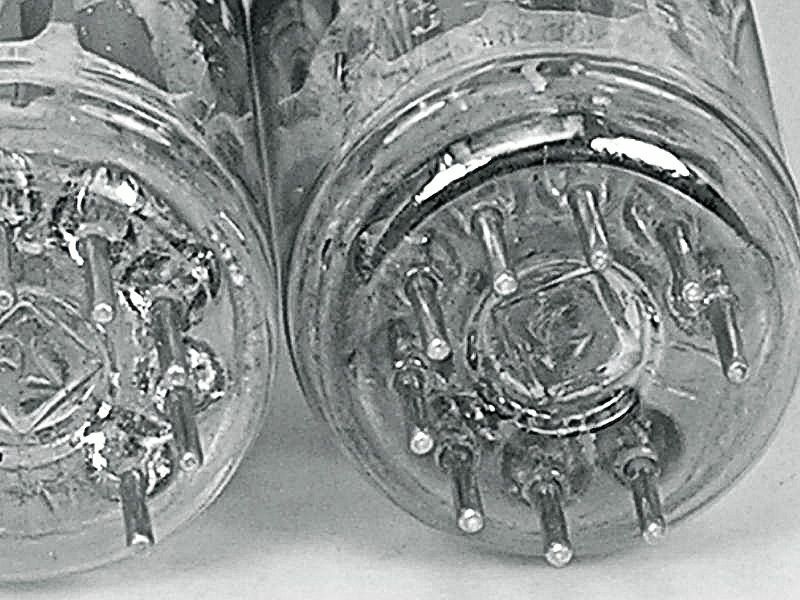 Every manufacturer used code markings to identify their tubes. This is an easy way to make sure that you get what you paid for. Different codes were used at different times but usually the code would indicate the Factory, day, month and year of production. Here are some Examples: Mullard: b5b4 would mean b=Mullard, Blackburn, UK, 5=1965, b=Feb, 4=4th week. Phillips Holland Delta symbol indicates Heerleen factory, followed by ex.4h1 would indicate that the tube was made in the 1st week of Aug1964. Telefunken codes are in the hundreds so the diamond on the bottom of the tube is the first thing to look for. I’ve had the pleasure of using most, if not all, of the highly sought after tubes and I will attempt to describe their performance in my amps. Earlier versions are called Long plates (17mm) and later versions were called Short plates (14mm). Long plates that are not micro phonic is what to look for, for the v1 spot. As a general rule of thumb I use British, Dutch or American tubes for the v1 spot in all my amps, long plate if possible. On some amps you can literally change the character of the amp just by switching between different tubes. An Amperex Bugle Boy ecc83 will be mellower, rounder than an RCA 12ax7 black plate, which will be more driven and aggressive. On my 1966 Fender Super reverb I get the most authentic Fender sound if I use RCA black plates. On my Komet K-60 the best tube so far was a 1958 Mullard MC1, which is the most sought after preamp tube by musicians as well as audiophiles. In my experience more neutral sounding tubes such as Telefunken are best in the phase inverter position, which is best served by a more neutral, balanced tube. It is important to note at this point that changing one tube and not the entire tube compliment will have some but not as visceral of an effect to the sound of the amp. Obviously, with tube prices being what they are today, this becomes somewhat of an expensive proposition especially if you are using more than one amp. I use 3 amps and between them we’re talking 16 preamp and 9 power tubes. Power tubes are a lot easier to deal with as they come in pairs or quads. Usually, most tube stores sell those matched. A matched set of power tubes is one where the two tubes are no more than 10ma apart with 5ma being the market standard. With use they will eventually begin to drift apart which in some cases makes for a very interesting finale. Biasing the power tubes is essential for the sound of the amp. It will run smoother if it’s biased properly. Some people prefer a cleaner soundstage so they will bias the amp to run cool. This will also help the power tubes to last longer. Others, like myself like to bias hot, which will increase the drive and compression, but will mean shorter life for the power tubes. Special mention should be made at this point about Military Grade Tubes both pre and power amp. Military tubes used special alloys too expensive for commercial use. 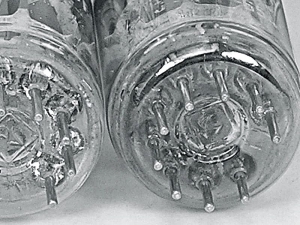 Also, tubes with military markings were pre-tested for tight tolerances and matched sections. They were made with more expensive earth metals and better glass bottles that can withstand temperature variations in combat, etc. All that said, it’s not necessary a military grade tube will sound better in your amp. It could sound tighter or not loose enough. Brighter or not warm enough. Clearer or sterile. 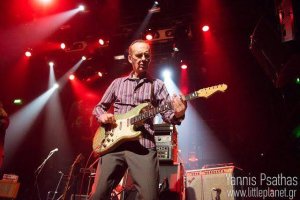 Guitar tone is so personal and everybody’s needs are different. In the 80’s production of tubes was discontinued as environmental concerns about poisonous gases and heavy metals used in the manufacturing process turned into legislature forbidding further output, thus all production in England, Germany, Holland and the US was ceased. Nowadays, tubes are made in countries with loose environmental guidelines such as Russia, China and the Czech Republic. I hope that this article proves to be helpful, interesting and sheds some light on the NOS mystique. Tubes were made in the millions. They are getting harder to find but they are out there if you know where and how to look. Foko is a guitarist, composer and arranger with several instrumental albums. He’s also an unrepentant gear hound. His music can be found on CDBABY.